Welcome to my Website. 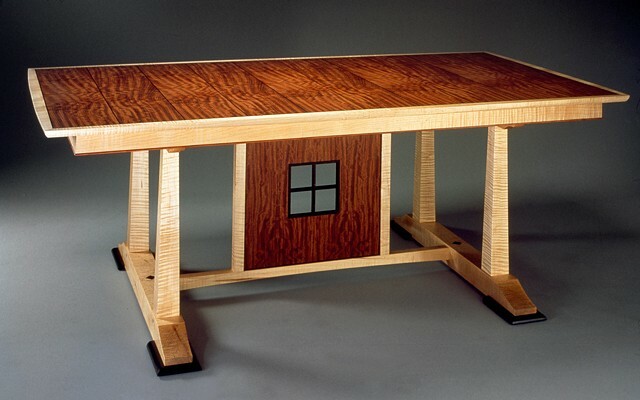 For the past 29 years I have been designing/making wooden furniture for clients throughout the United States. The majority of my work is for residential clientele, though my studio does offer the services of millwork and cabinetry for the trades. My professional life is of two worlds, both are woven together and yet exist on their own. When I am not working in my studio, I can be found teaching in the role as a Senior Critic in the Department of Furniture Design at the Rhode Island School of Design. My personal studio is in Norwood, MA. Studio visits are welcomed but must be scheduled. Questions too are welcomed. Feel free to contact me via my contact page. The images displayed are a small selection of decades of designing/making.